The year is 2019. Tokyo, now post-apocolyptic Neo-Tokyo, has been rebuilt after obliteration in WWIII. When a biker named Tetsuo is discovered to have mysterious telepathic powers that are of great interest to the military, his best friend Kaneda must fight to either save or stop him. Admission is free, but reservation is required. Please register using the form below. You will receive an e-ticket, which you can print or display on your phone or other electronic device at the door. Contact kscullin@jftor.org if you have any trouble with the form. The titles include cult classics Cyborg 009 (1980) and The Dagger of Kamui (1985) and the children’s film Mai Mai Miracle (2009). 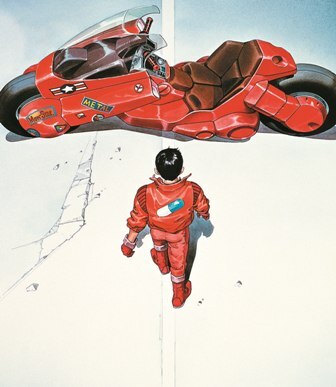 The series will conclude with a screening of Akira (1988), one of the most influential films in the history of cinema. The Toronto Reel Asian International Film Festival® is a unique showcase of contemporary Asian cinema and work from the Asian diaspora. Works include films and videos by East, South and Southeast Asian artist in Canada, the U.S., Asia and all over the world. As Canada’s largest Asian film festival, Reel Asian® provides a public forum for Asian media artists and their work, and fuels the growing appreciation for Asian cinema in Canada. The 18th annual film festival runs from November 6 – 16, 2014 in Toronto and Richmond Hill. 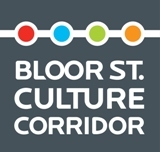 The Revue Cinema has operated almost continuously for 102 years in historic Roncesvalles Village, and in 2007 began operating as a not-for-profit community centre and theatre with a mandate to promote cultural enrichment through film and educational events. In 2013, The Revue underwent a complete upgrade to digital film projection while retaining the ability to screen 35mm prints, thanks to a grant from the Ontario Trillium Foundation. This fall, The Revue was awarded a second Trillium grant for aesthetic improvements and repairs.